Optical illusion titled “Kaninchen und Ente”, meaning Rabbit and Duck originating from Germany has been popular nowadays on the internet – for one good reason. 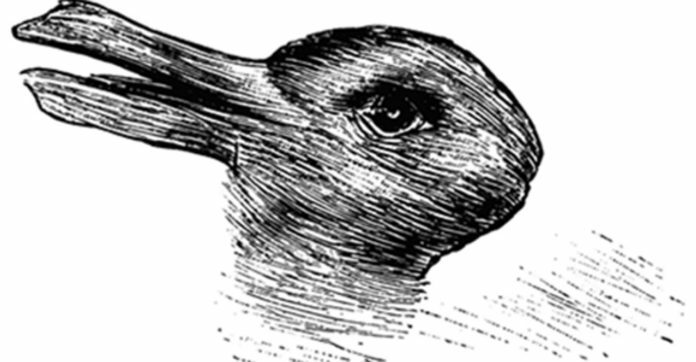 The image consisting of a merged duck and rabbit has the ability to tell if you’re creative or not! Created by psychologist Doctor Joseph Jastrow, the illusion suggests that people who are able to quickly switch between seeing the rabbit and the duck are more likely to have creative talent compared to those who don’t. What an amazing find! Now, was it a bunny or a duck for you?